A man had a vision in the early 1900’s to build a dam. This gorge narrows in a valley in the beautiful Costa Blanca area of Spain; a country where the value of water is high and rights of possession are fought over. Throughout the country’s history, powerful men have controlled the allocation of water from impressive buildings in city centres. The dreamer hoped to create his own pool of liquid riches. High up the sides of the gorge the visitor can still see the abandoned path which accommodated the men, their donkeys and their equipment. In the tunnel walls it is still possible to see the impression of the sharp ends of the chisels which chipped out a passage through the rock face. 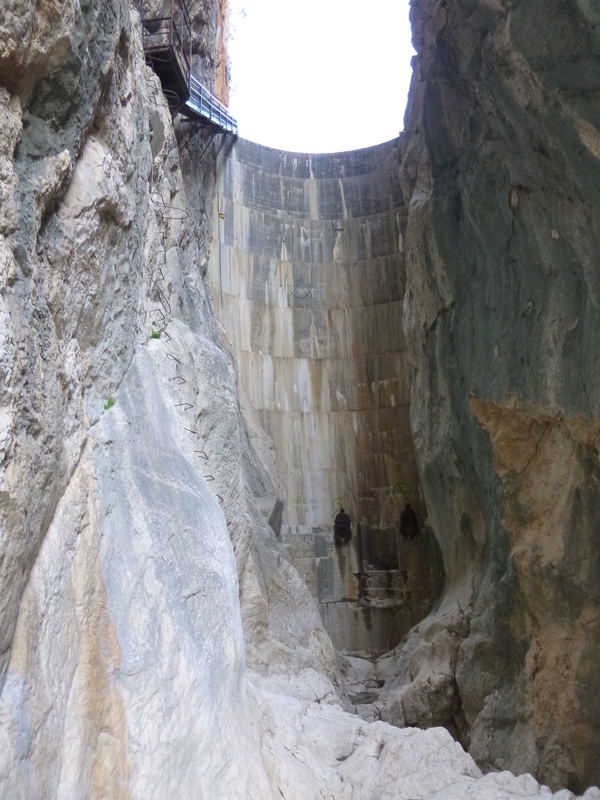 Years of hard toil went in to creating the dam and it has stood the test of time. However, when the first water fell, rather than collect behind the stone wall the precious fluid seeped into the ground. Nature was not ready to be harnessed and another of man’s follies remain on the earth to remind us. For many years men have walked along this coast. No hotels, no pavements, no roads; all that existed was the land and the sea. The coastline was made up of tosca stone; now eroded by builders harvesting decoration for the arches and windows of their homes. 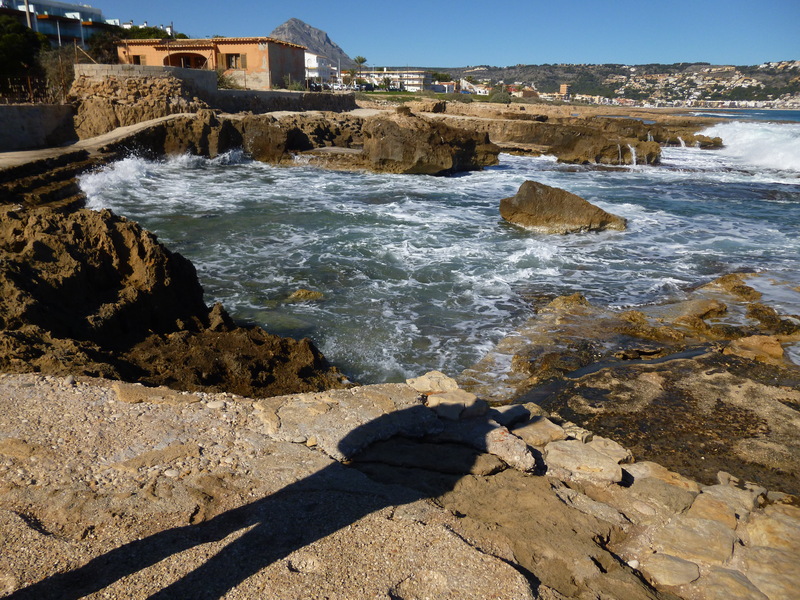 Ancient buildings once existed here; palaces at the side of the Mediterranean Sea. Now we are left with the ruins, disappearing into the sea as it encroaches on the foundations. Soon the shadow of man will blend into the waves as the sea buries our past. I am enjoying those wonderful moments of the day before anyone else arises, when I can enjoy my coffee and think about whatever I like without any interruptions. Today in my home I have one sick relative and one who didn’t get in until 4am so my peace may last for quite a time. My writing work is progressing with trying to develop my characters more fully and give them some personality. Another blogger suggested pretending to audition them to try to identify their key characteristics and how they would act in any given situation. I like this idea and am going to try to put it into action today. When I took some recent visitors to the beautiful city of Valencia I was pleased at how overwhelmed they were at the range of architecture and its beauty. Ten years ago I was totally unaware of the magnificence of Valencia. Even now the city takes my breath away when I arrive. It worries me that this recession in Spain may put people off visiting the country and in particular the lesser known areas. 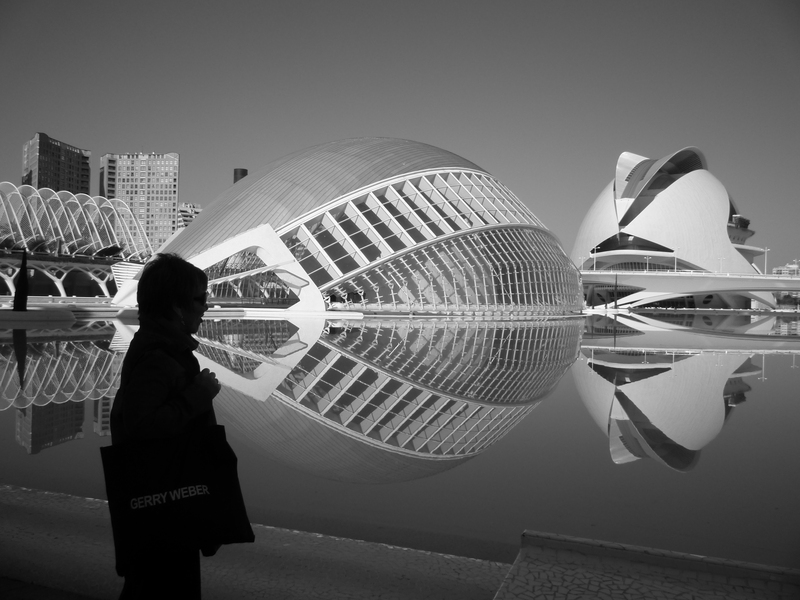 This is not the best picture of just a couple of the modern buildings in the incredible City of Arts and Sciences which has been built in the old riverbed but it will give you an idea of what there is.